According to Xinhua News Agency, China Mobile is working on its own proprietary mobile operating system known as the 'Ophone'. The Ophone is described as a deeply customised product that will embed a series of China Mobile subscriber services. The move is considered a strategy that will enhance China Mobile's standing in the mobile handset market and allow it to compete with existing handset manufacturers that focus on mobile Internet services. During his keynote session at this year's GSMA Mobile Asia Congress, Wang Jianzhou, chairman and chief executive officer of China Mobile, hinted that the operator is also looking at setting up its own application store in a similar vein to Apple's AppStore and China Mobile will be encouraging content providers to offer their own apps via their shop. 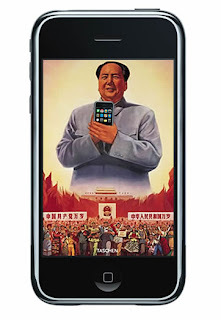 Looks like most of the handset manufacturers can kiss their app store strategy good bye for the chinese market.